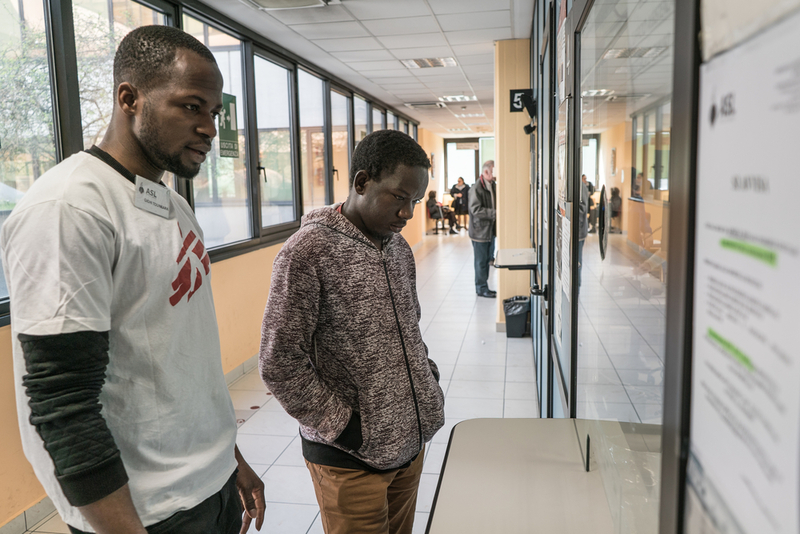 At the outset, it was a small MSF help desk to inform the migrants and refugees living in the “Ex-MOI”, an informal settlement in the city Turin, Italy, how to access medical treatment through public services. Few months later, two former residents of the “Ex-MOI”, trained by MSF as intercultural mediators, started to work in the local health center to facilitate the access of all the other residents to the National Health Service (SSN) and to obtain a general practitioner or paediatrician. Two years after the launch of the MSF pilot project, the collaboration between MSF and the local authorities allowed marginalised people to independently enjoy their rights to healthcare. “The closest local health center to the EX-MOI is about 600 metres away, but prior to our intervention, 7 out of 10 residents were not registered with the National Health Service because they lacked information, of for administrative or language barriers,” says Doctor Claudia Lodesani, President of MSF Italy. “Today, thanks to the collaboration with the health center and the Municipality of Turin, we have managed to include these people into the public healthcare system. More general terms, we have contributed to overcoming their exclusion from the local community”. 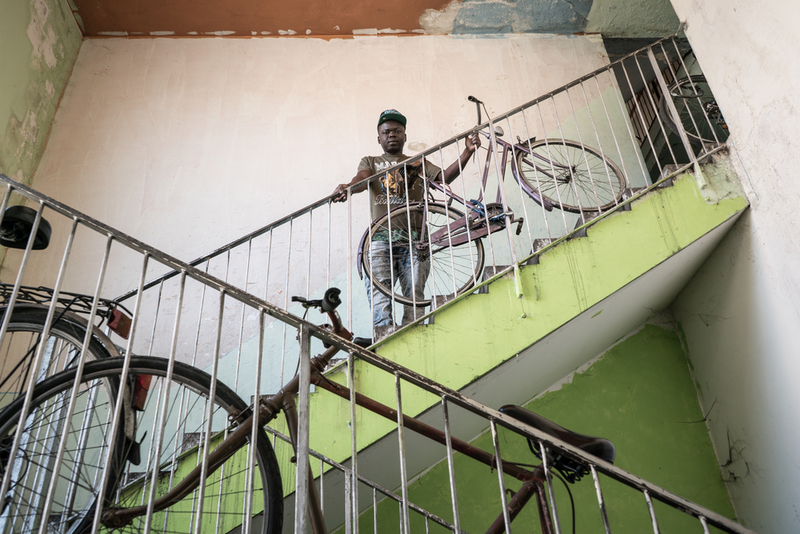 In Turin, Italy, hundreds of marginalised migrants and refugees live in the four occupied buildings of “Ex-MOI” (former 2006 Olympic Village), facing harsh conditions. MSF intervention began at the end of 2016. Residents of the Ex-MOI essentially lived in isolation from regional public social-healthcare services due to a lack of information and language barriers. The first obstacle they needed to overcome was the lack of information. MSF established a social-healthcare help desk managed by MSF operators and volunteers (students, professionals and pensioners from Turin that chose to dedicate their time to supporting this project), with the support of cultural mediators, selected and trained from among the residents themselves. By the 31 December 2018, this information desk had assisted 469 people, of which 40 were women and 14 minors. Few months later, MSF signed a Memorandum of Understanding with the “City of Turin” local health center, and two intercultural mediators started working at a help desk funded by local authorities to facilitate relations between the staff and foreign users. This agreement was then extended to the Municipality of Turin, with the intention of also providing mediation at the Municipal Registrar Offices located in the same building. Thanks to this activity of cultural mediation, the time needed for EX-MOI residents to register with the national health system has gone from two months at the beginning of 2017 to one week. In total, at 31 December 2018, 275 users had been assisted at the help desks, with 111 applications initiated to obtain virtual residence, a prerequisite for registration with the SSN. “When I was living at the former MOI, nobody gave us any information on how to access a doctor, get a healthcare card or obtain residence. People helped out among themselves, but this was not enough,” says Lamin Sidi Mamman, MSF intercultural mediator. “Initially we would go around looking for people inside the buildings, today they call me night and day to speak about their problems and ask for advice. It’s very demanding, but I really love helping others”, explains Gighi Tounkara, MSF intercultural mediator. MSF cultural mediator from Mali: "I lived at the Ex-MOI in a room with another two people. But we felt like we were all one family, Nigeriens, Malians, Senegalese, Nigerians." There are at least 10,000 refugees and migrants living in informal settlements in Italy under extremely difficult conditions, with limited access to essential services and medical treatment. Recently introduced legislation and administrative regulations adopted at the national level, in addition to removals without alternative solutions, risk worsening the health conditions of these people. Based on the experience gained in Turin, and in order to guarantee migrants and refugees access to treatment, MSF continue to call the competent authorities to promote access to social-healthcare services for residents of informal settlements, to make sure that intercultural mediators can support migrants and refugees to access services, in particular primary healthcare services and that those accessed without a family doctor prescription. MSF has been working in Italy since 1999 on various healthcare and psychological projects for migrants, refugees and asylum seekers. In Rome. MSF manages a rehabilitation centre for survivors of torture and victims of cruel and degrading treatment. 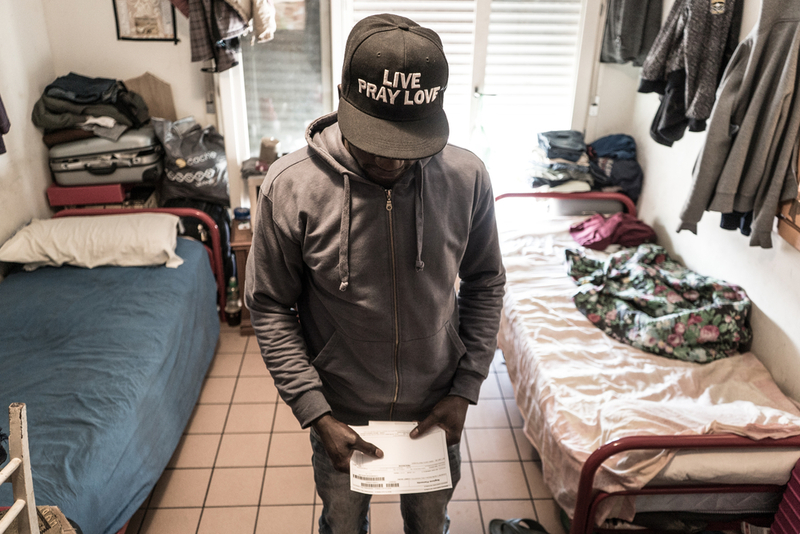 Subsequent to the monitoring undertaken by MSF during the last four years at the informal settlements in Turin, in the former MOI buildings, and in Palermo, in the Ballarò district and in Rome at the informal settlements in the east of the city, MSF promotes access to national healthcare services for refugees and migrants, by overcoming language and administrative barriers.